Numbered 63856 with the KP registered trademark. I believe this to be from around the 1960s. Knoll & Pregizer did not do a lot of adorable, whimsical novelty watches. 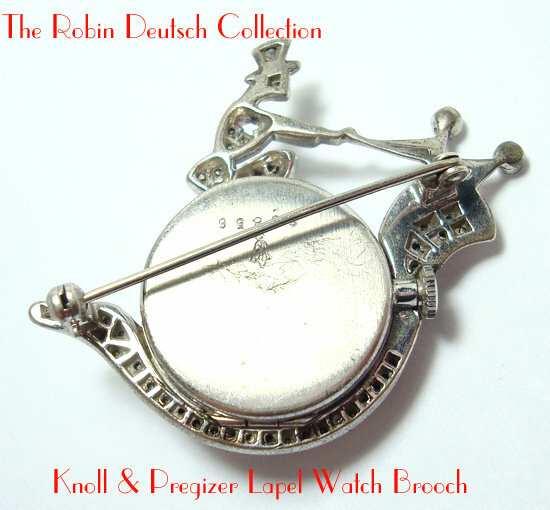 Most of their wrist watches and lapel watches were lovely but traditional styles. pieces. This piece is rare and unusual for them. The strike of the KP hallmark denotes post WWII production.